Chelsea De Jesus joined The Guardianship Project in February 2018. Chelsea received her BA in interdisciplinary social sciences with a concentration in psychology and behavioral health sciences from the University of South Florida. As part of her field work, Chelsea worked at a reentry program for juvenile justice-involved youth at AMIkids, Inc. in Florida, and performed research for a documentary project focused on crime reduction at the University Area Community Development Corporation, also in Florida. 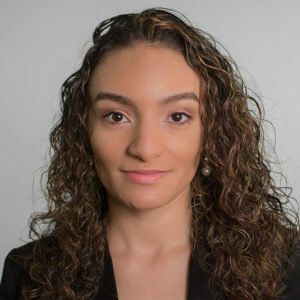 After graduation, Chelsea began her non-profit career working first as a Child Welfare Case Manager for Gulf Coast Jewish Family Services in Florida, and then moving north, as a Community Outreach Partner at New Jersey Family Success Center. Chelsea is currently pursuing her Master’s in Public Administration and is the President of her school’s Public Administration Society. Chelsea is a member of the American Society for Public Administration-NYC chapter.